What a week it has been. I haven't sewn a stitch since Sunday and am desperate to spend some quality time with my Janome today. It's been a long week with lots of work that had to be done in the office. I am going in holiday towards the end of next week and as always a mountain of work seems to be flooding towards me in the days prior to leaving. Does that happen to you too ? I am going to the USA visiting New Orleans, Savannah in Goergia and a few days in New York to finish it all of. 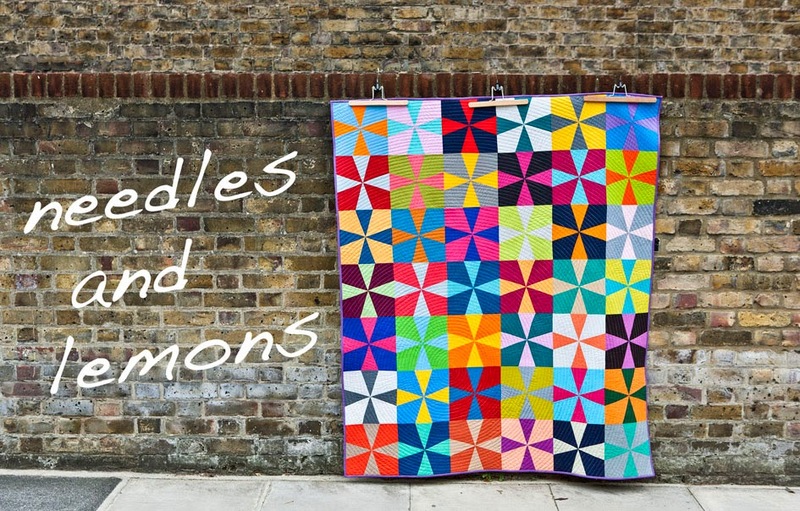 I have got some quilt shop addresses in New Orleans from Rick at WhimzeeStitches but could do with some in Savannah and New York (apart from the obvious that is Purl Soho where I will be camping out front). If any of you know any shops then I would be grateful if you could let me know. 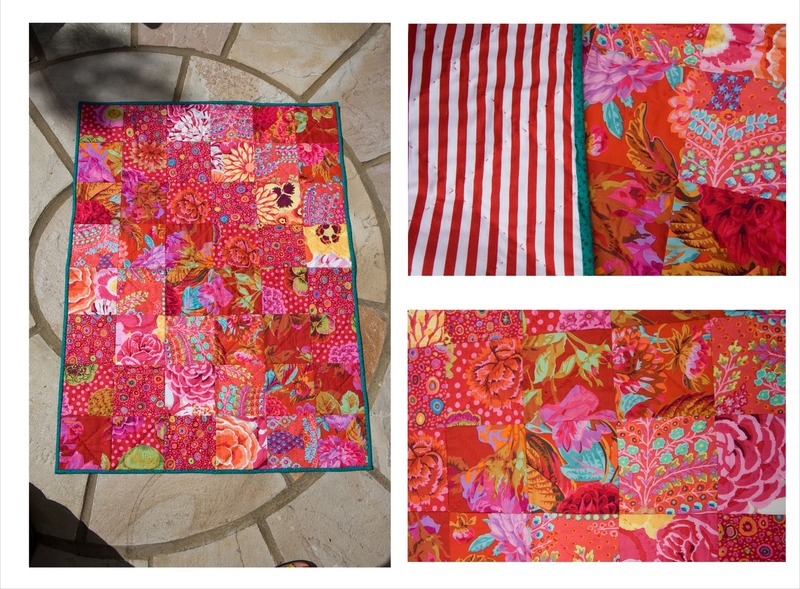 Also when I am back from the States I will just have passed my one year quilt anniversary. 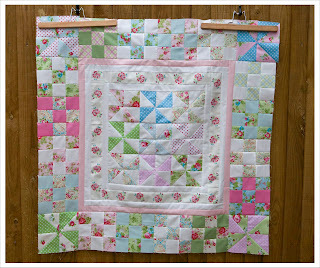 Yes that's right, Easter about a year ago I started my first quilt. And to celebrate I will hold my first super fantastic give-away. So please stay tuned until May when I will share some goodies with you I may have bought accross the pond !!! 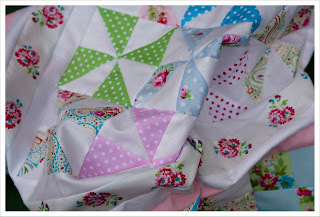 But first things first, here an update on my Springtime quilt from last weekend's sewing. I will press on today to finish the top and make progress on the Monochromatic Dresdens before Lynn will give me a detention for being unbelievably late...tall order as usual. Have a fun time in the states...I wish I knew some quilt shops to recommend. I love, love, love New York. I can definitely recommend restaurants. Wish I was going on your trip.That seems like an ambitious itinerary. I hope you have several weeks to enjoy it. 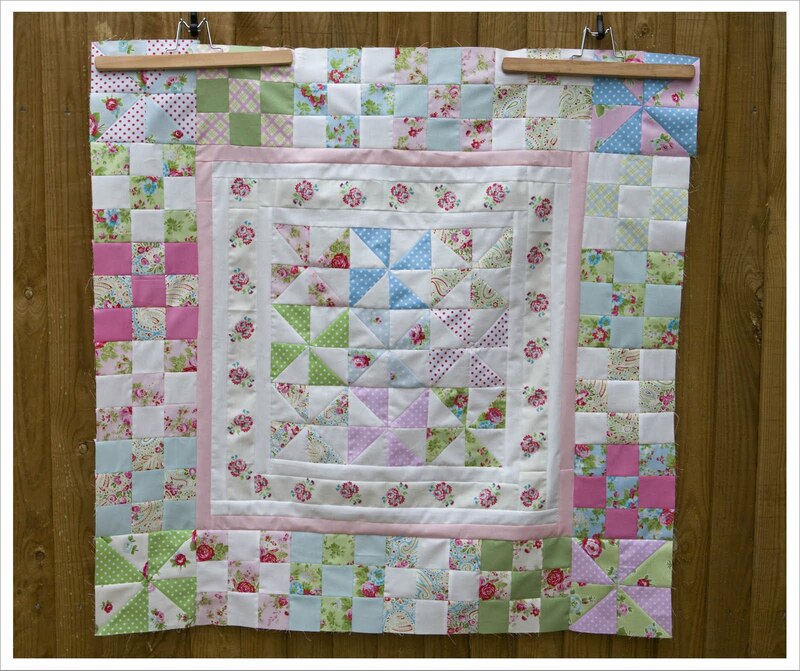 I love your springtime quilt, its just gorgeous! And I'm in total envy of you heading off to the States, I would love to go with a big empty suitcase to fill with fabric. I am a new follower and new quilter too!